Cotswold Stone and Penrhyn Slate. Styled with White Design Strips. Let the glowing golden tones of Black Wash Oak take centre stage by styling your room in muted colours. 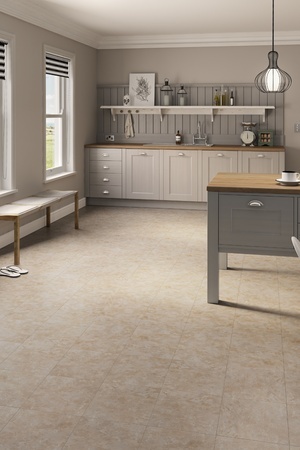 Light grey can create a gorgeous contrast with the oak’s tawny tones while off-white will lift the mood. Finish the look with classy furniture, polished surfaces and unusual lighting to inspire a fabulous sense of sophistication in your space. The marbled sandy tones of this authentic stone design inspire a wonderful sense of the seaside beneath the feet. Style the floor with muted colours, traditional furnishings and nautical features to capture a cottage-coastal feel in your space. A marbled medley of sandy shades that creates a charmingly classic canvas. 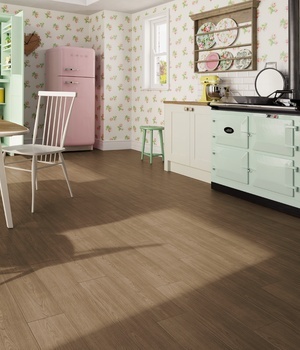 These authentic vinyl floor tiles bring a calming sense of the seaside to beneath your feet. Style the floor with muted colours, traditional furniture and natural materials such as wood and wicker to capture a calming cottage-coastal feel in your home. Cotswold Stone can be stuck down or fitted quickly, easily and completely adhesive-free with the unique Vitesse magnetic underlay. 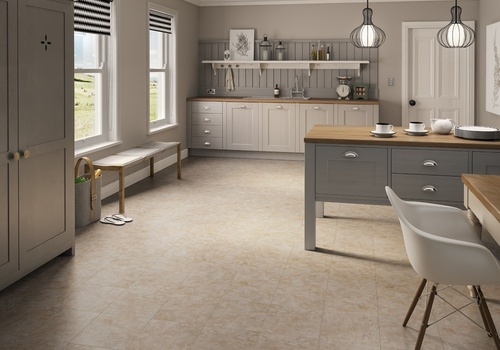 Order a free sample of Cotswold Stone vinyl tiles for a closer look at the authentic colours and textures of the design. 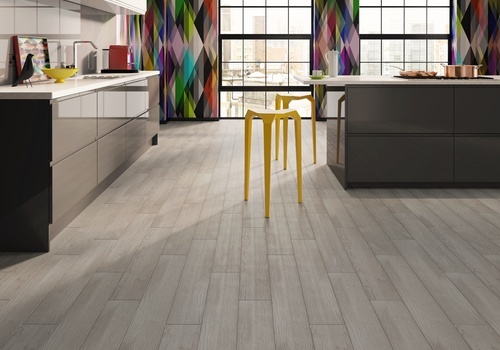 You can also view larger swatches of the floor tiles at your local Vusta retailer. Cotswold Stone and Penrhyn Slate make an elegant combination in this classic chequerboard design. 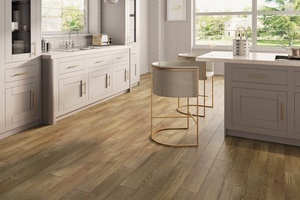 Style the floor with a muted colour scheme and add seaside-inspired accessories to evoke a subtle coastal look in your space. Hints of dusty cocoa fuse with ashen accents in this rugged slate design. 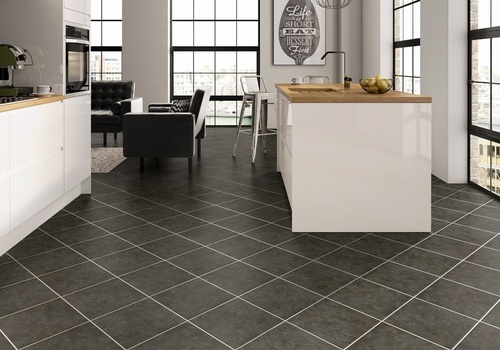 These grey vinyl floor tiles are rich and rugged character and make perfect company for monochrome colour schemes. Style with metal furniture, touches of black and old-school warehouse accessories to capture the minimalist industrial look in your space. Penrhyn Slate tiles can be installed stuck-down or completely adhesive-free with our unique magnetic underlay. They are water-resistant, stain-resistant and easy to clean, meeting the needs of even the most demanding rooms in the home. 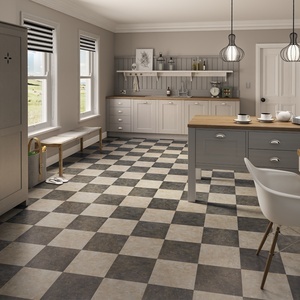 Order a free sample for a closer look at this grey vinyl flooring design and to get a feel for its authentic textures. 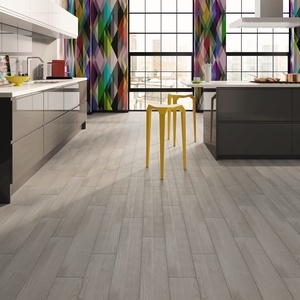 You can also view larger swatches of the tiles and discuss your ideas with an expert at your local Vusta showroom. Find your nearest here. 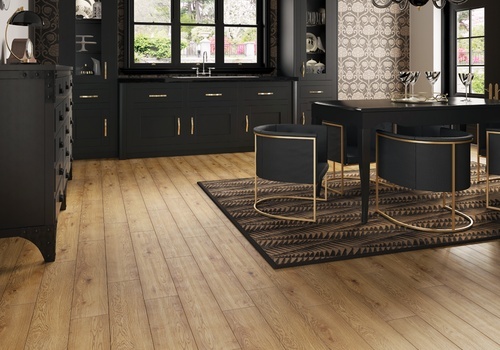 Capture a 1920s Art Deco vibe by pairing the glamorous golden tones of Country Oak with striking black furnishings. Enhance the look with a symmetrical wallpaper design, luxurious fabrics and shiny gold accessories that play-up the tones in your floor. The sharp contrast between black and gold brings instant sophistication to any space. Rework the raw, utilitarian feel of an industrial past with a dusky colour scheme and warehouse-style furniture. Welsh Slate creates a powerful base for the look, complementing minimal surfaces to land a back-to-basics vibe that’s perfect for practical rooms. Add touches of stainless steel, statement lighting and leather for extra period appeal. Charcoal greys, earthy greens and hints of copper are married in this compelling slate design. 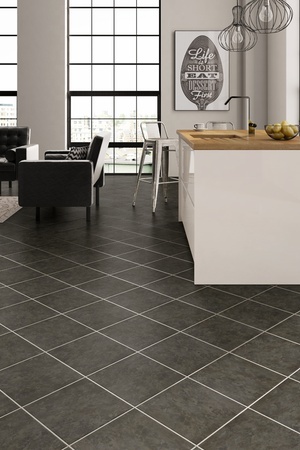 Crafted to capture the rugged beauty of real slate floor tiles, this design is dark and characterful. 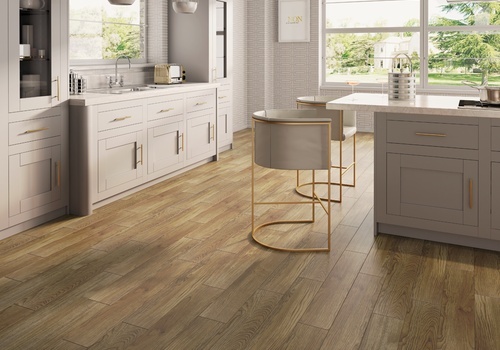 The floor creates a powerful base for the industrial look, complementing dusky colour schemes and minimal surfaces to land a back-to-basics vibe that’s perfect for practical rooms. Welsh Slate can be installed stuck-down or completely adhesive-free with our unique magnetic underlay. It’s water-resistant, stain-resistant and easy to clean, meeting the needs of even the most demanding rooms in the home. 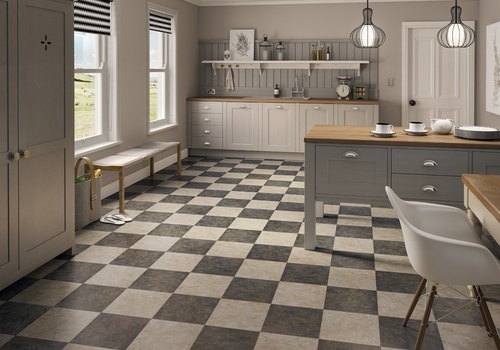 Take a closer look at these vinyl floor tiles by ordering a free sample. You can also view larger swatches of Welsh Slate at your nearest showroom. With cool tones and understated grains, White Planed makes perfect company for busy wallpaper. Introduce a geometric design on your most eye-catching wall and pick accessories in the wallpaper’s shades to tie the look together. Complete the look with minimal furnishings in white, black or dark shades of grey to complement the ashen hues in your floor. 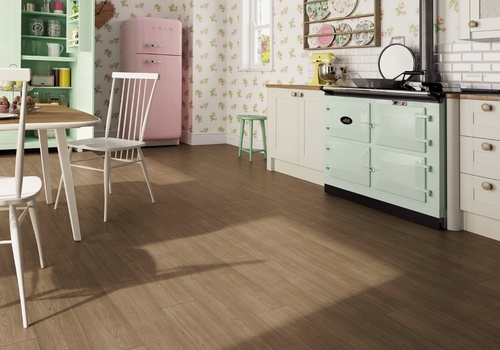 Refined and understated, Natural Oak makes easy company for candy pastels. Land a look that’s sweet but not sickly by choosing two shades from the pastel palette and introducing the colour in fun bursts. Floral wallpaper, retro appliances and antique accessories can all add period charm while dashes of white make a lovely contrast.